Why watching The Walking Dead can help you hone your career skills and be brilliant at work. The Walking Dead is a huge TV phenomenon, praised by critics, obsessed about by fans and discussed all over the internet. 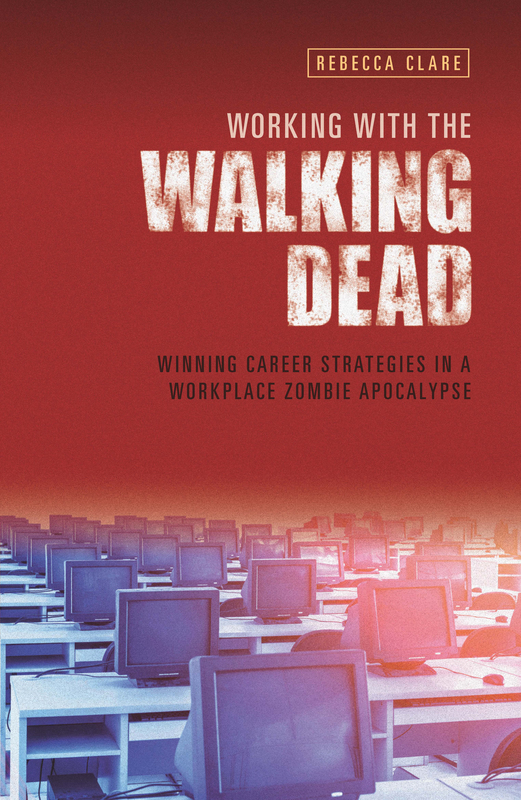 Set in a world reeling in the aftermath of a pandemic that has seen most of the population transformed into flesh-hungry zombies, known as walkers, it hardly seems the logical place to turn to for advice about one’s career. It’s true that superficially our pre-apocalyptic world looks very different from the one we see in the show, but wherever there are people, teams, competition and difficulties there are lessons we can apply to our own lives. Just as at work we are expected to co-operate within a team we didn’t choose, the survivors in The Walking Dead have to get along with people from very different walks of life, with whom they may never have chosen to associate under non-apocalypse conditions. In the show personality clashes, poor decisions and leadership problems often lead to a gory outcome, whereas in business it’s your career that’s on the line. Zombie-spotting for beginners. Telling the walkers from the living is not difficult but spotting a workplace zombie can be a little harder. If you want to shine in your organi­zation you’ll need our handy guide to recognising your living-dead colleagues. Working out your purpose. Many of the characters in the se­ries have found that adversity has given them a new insight into their skills and strengths. So without having to face a horde of walkers how can you unlock your hidden talents? Finding joy in the 9 to 5. Whether your life is a constant battle against being turned or eaten, or an endless stream of meetings and procedures it can be hard to get any pleas­ure out of life, yet even in the darkest of times there is hope. Let the survivors show you how to find it. The pitfalls of leadership. With great power comes great responsibility; you can’t get it right every time and when plans go awry you’ll find your leadership called into ques­tion by your team, as Rick has discovered on several occa­sions. How you handle the situation sorts the true leaders from the also-rans. Keeping on keeping on. Not every day can be a success and sometimes you will feel you’re getting nowhere. Don’t de­spair, if our survivors can come through the worst and still have strength for another day you can bounce back from a little workplace failure. If you’ve ever wondered whether you’ve got what it takes to come out on top in a tough business environment this book could be the making of you.